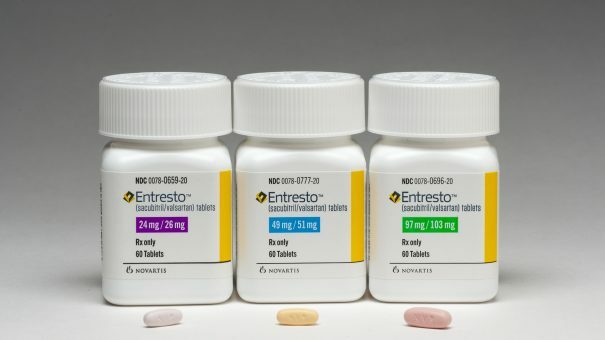 Two years ago, Novartis launched a big trials programme for its heart failure drug Entresto in the hope of revving up disappointing initial sales, and one of those trials has just delivered positive results. The PIONEER-HF trial shows that Entresto (sacubitril/valsartan) is superior to the generic ACE inhibitor enalapril – a go-to heart failure therapy – and could help enhance the drug’s sales momentum which has finally started to accelerate. Based on third-quarter sales of $271 million the drug is finally on course to achieve its long-promised blockbuster status. The study was conducted in heart failure with reduced ejection fraction (HFrEF) patients who had been stabilised after admission to hospital, a group at high risk of sudden death, and showed that those on Entresto had a lower risk of death and other cardiovascular complications compared to the enalapril group. They also had better results when it came to NT-proBNP, a biomarker for HF severity, and seemed to be as safe as its well-established comparator. All told, Entresto-treated patients were 46% less likely to die, be re-admitted to hospital with heart failure, need a left ventricular assist device (LVAD), or be put on a waiting list for heart transplant than those on enalapril over eight weeks. However, questions have been raised about the dosing of enalapril (10 mg) used in the study with some commentators suggesting 20 mg is also widely used. The new study aims to boost Entresto’s use in HFrEF patients where a 2014 study (PARADIGM-HF), conducted in patients not sick enough to need hospitalisation, has failed. The earlier trial also showed advantages over enalapril on hospitalisation and death rates when patients switched from an ACE inhibitor – enough to get Novartis’ drug included in treatment guidelines – but it is still estimated that only around 15% of eligible patients receive it over an ACE inhibitor or angiotensin receptor blocker (ARB) on its own. With PIONEER-HF, the benefit has also been shown in patients starting out on the combination product. Faced with the slow-takeup, in 2016, Novartis started the FortiHFy programme, a series of clinical trials aimed at thoroughly testing Entresto across a range of HF settings which were thought to be the key to unlocking the drug’s blockbuster potential. PIONEER-HF was a key part of that programme, along with the TRANSITION trial in post-discharge HFrEF patients that generated positive results in August, and the PARAGON-HF trial comparing Entresto to valsartan in HF patients with preserved ejection fraction (HFpEF) – due to report next year.